In previous posts, I mentioned the event in which we’re participating: an English Civil War Society event at Forty Hall, Enfield, on the Northern outskirts of London. And now the day has come! The press has left its home in the new workshop and is presently in a trailer waiting to go over to the site. We’ll be working in a big “Burgundian” renaissance-style tent….I’m sure no 17th century printer ever worked in such surroundings, but re-enactment is all about the suspension of disbelief! Forty Hall is a nice fit for me, because apart from the historical importance of the building, the curators have devoted a lot of wall space to art and photography. 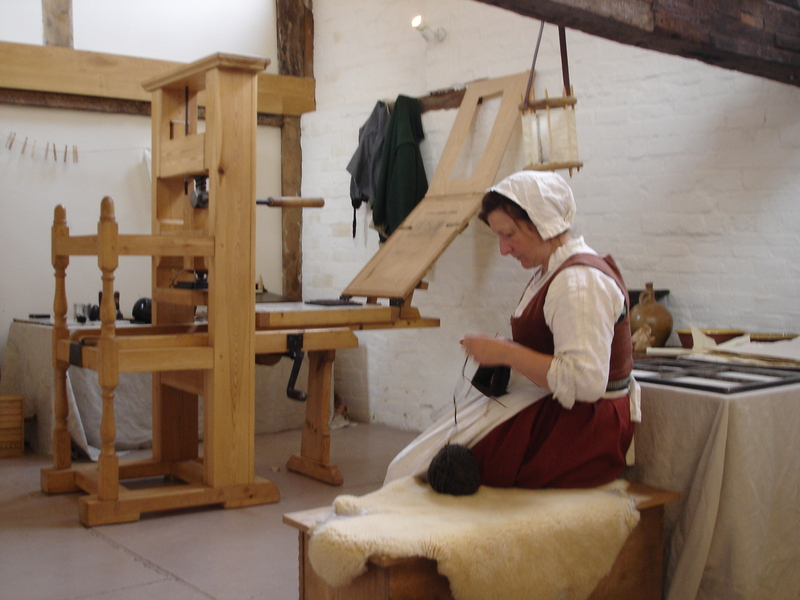 However, quiet contemplation may not be so easy on Saturday afternoon when the muskets start firing and cannons roar….today will be devoted to moving improbable amounts of equipment to the parkland behind the Hall, and setting up a temporary printing house. We’ll be joined by herbalists, gentlemen, cooks and needlewomen as well as the rude soldiery. The press set up at a previous event:The Commandery, Worcester.